All self-tapping fasteners are thread-forming fasteners, which form their own threads when screwed into pilot holes; some types of fastener can also create their own bores. Using self-tapping fasteners increases productivity during assembly, and also reduces the cost of connections. The mating thread is actually created by the forming areas in the screw thread. Generally this is achieved by rolling. The prerequisites for this are that the screw thread is harder than the workpiece and that the material is sufficiently ductile to allow the thread to be formed. If the part to be screwed (sheet) is thinner than the thread pitch of the tapping screw as per DIN EN ISO 1478 (wobble limit), then it is necessary to use additional joining elements. 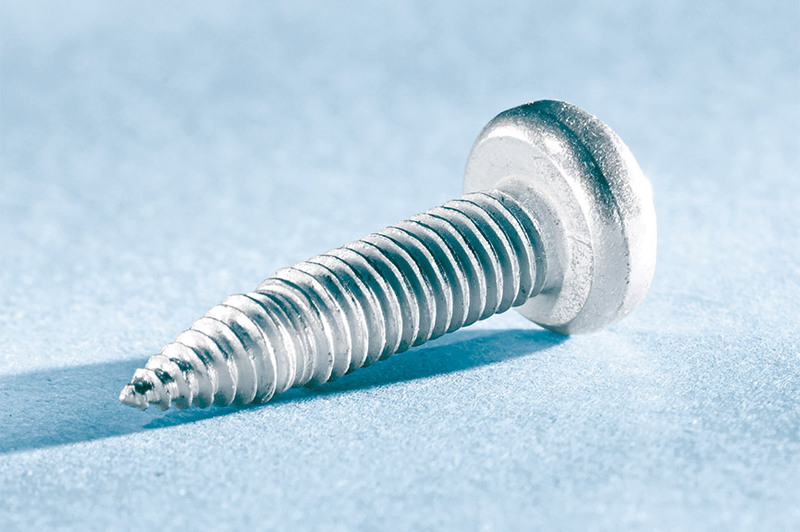 An economical alternative is offered by thin sheet screws. The QUICK FLOW® thin tapping screw makes a hole in the sheet, forms a passage and then creates a metric thread. This mating thread created results in a better height of the screw at the point of fixing and in the thread pitch being finer, which means improved coverage of the metric thread edges formed. Nowadays, the parts and even entire products are becoming lighter and lighter, which means that manufacturers can produce more cheaply, and at the same time offer the customer many advantages. This results in a series of challenges during the design and technical implementation stages of construction which need to be overcome. 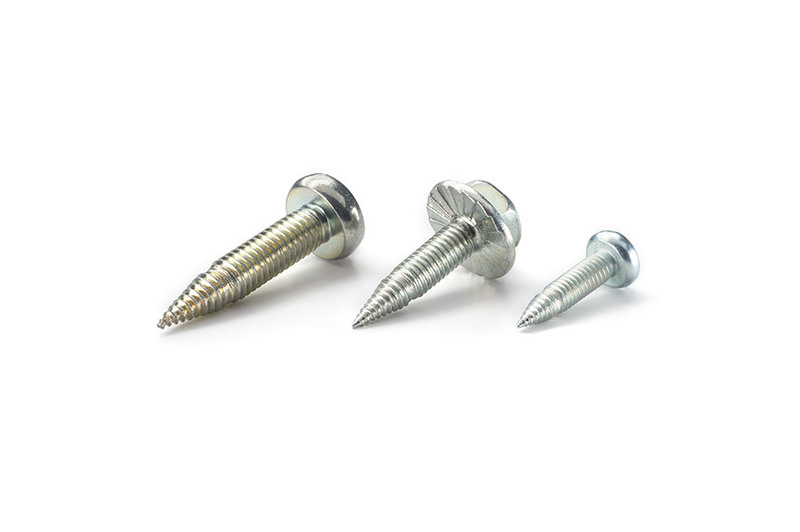 In the case of fasteners, this often means that self-tapping screws are required. Many sheets or thin-walled components have now become so thin that additional – undesired – nuts are often required. With QUICK FLOW® self-tapping screws for thin sheets, these additional parts are no longer needed. The hard-wearing spiral tip means you can tighten the screw without having to pre-drill a hole. The shape of the tip of the screw forms a flute in the thin-walled sheet before the metric, re-usable mating thread is created, which thus produces a wide area of application. The fine threaded pitch of the QUICK FLOW® has sufficient overlap with the mating threads formed. In addition, they make automated assembly possible and guarantee the required levels of process safety thanks to their high overturning torque. QUICK FLOW® is Böllhoff’s universal, economical fastener for thin sheet materials. The screws come in standard sizes M 4 to M 6 with button head and hexalobular drive. Additional dimensions and head shapes are available at any time upon request.